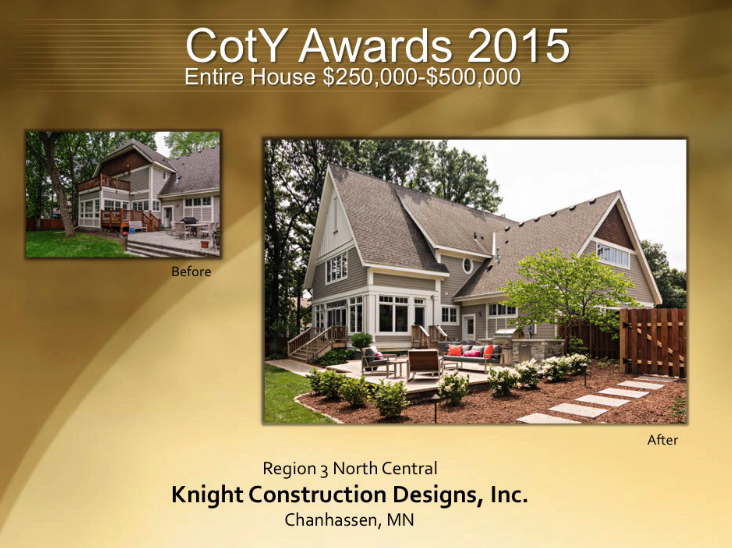 Knight captures Triple Crown of 2015 NARI CotY Awards for Outstanding Edina Project | Knight Construction Design Inc. The triple award-winning project features a 17×32-foot addition, dual-sided Montana stone fireplace, large Marvin windows and doors, expanded mudroom, and enhanced master suite and office. 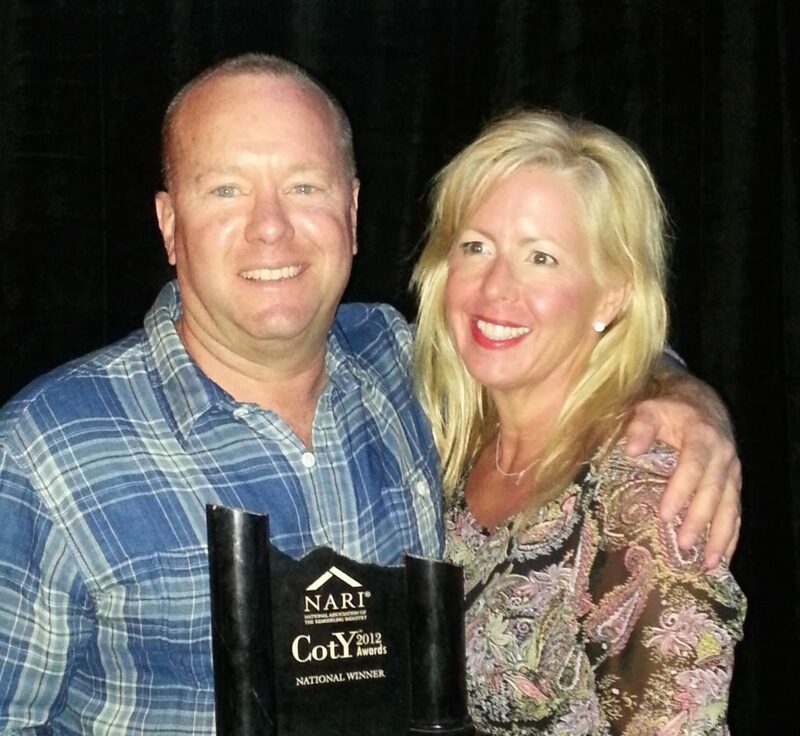 Gary and Kelley Knight are pictured above after receiving the award at the NARI National Evening of Excellence event. Some 160 entries vied for national honors in 36 categories. Judges evaluated the projects on problem solving, functionality, aesthetics, craftsmanship, innovation, degree of difficulty and presentation without knowing who submitted the entries. That is gorgeous! Great job, and Congratulations!